I recently bought a Citizens Bike off of their website… it came in a 42 lb. large box which I promptly picked up from our neighbor (A Liquor Store) and dragged it up one flight of carpeted stairs to my doorway. Upon opening everything was in place, and you know what? So far so good. Its a foldable bike and I was a bit concerned, pre-occupied with imagining it collapsing on me while riding across a Manhattan bridge or something of the sort, lets hope not. Folding Unfolds and ready to ride in seconds. No tools required. Folds up quickly for easy storage or travel. Assembly Your Citizen Bike arrives 95% assembled. Follow the instructions and you’re ready to ride. Handlebar Alloy with soft Kraton rubber grips. 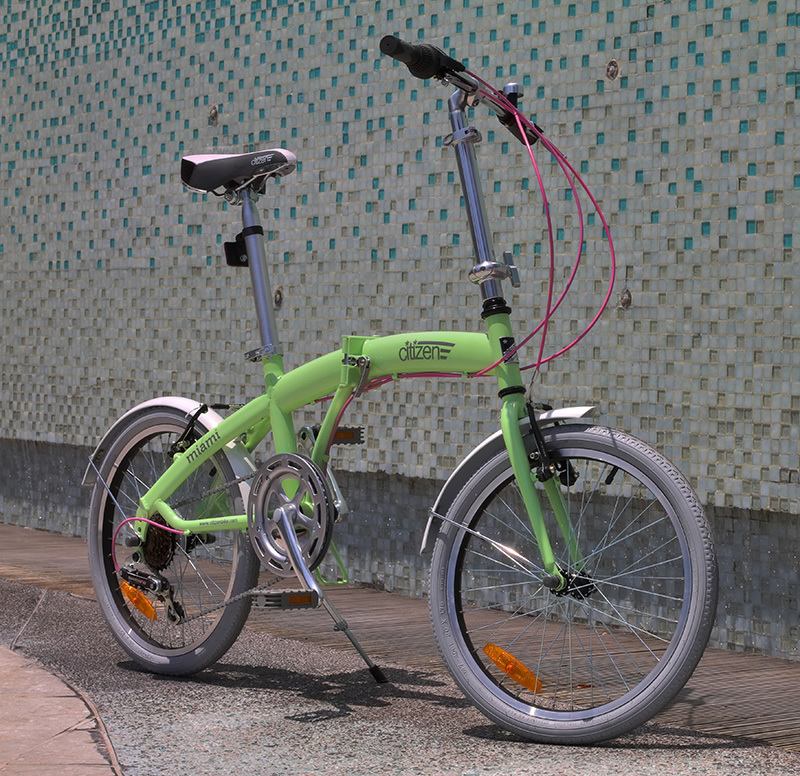 Stem Alloy, height-adjustable, folding stem with quick release. No tools required. Seat post Alloy, adjustable in seconds with quick release. No tools required. Saddle Its not for a horse. Rim 20″ double wall alloy rims. The 20″ wheels allow for precise and stable handling. Inner tube 2 included and installed. Shipped inflated. Rack and Fenders Steel fenders included. Carrier rack optional. Max rider weight Supports riders up to 220 lbs.